Stephen M. Fischer was appointed City Attorney on April 5, 2016. He was designated Oxnard’s Acting City Attorney in July 2013 and was subsequently appointed Interim City Attorney. 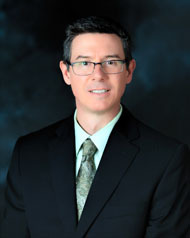 He joined the Oxnard City Attorney’s Office in 2009 as the Assistant City Attorney. Prior to coming to Oxnard, Stephen was an associate attorney at a large municipal law firm in Los Angeles, serving as Assistant and Acting City Attorney on a contract basis for several cities in Los Angeles County. Stephen received a Bachelor of Arts degree in Economics from the University of California, Santa Barbara and his Juris Doctor degree from the University of California, Davis, School of Law. He was admitted to the California State Bar in 1994. Stephen is a native of the San Fernando Valley, and is active in the City Attorney’s Department of the League of California Cities and the Tri-Counties Local Government Attorneys’ Association. He has provided training to local government agencies on ethics for public officials and open government laws.